If you zoom into most Instagram photos you’ll notice curves and dents around torsos, thighs, arms, and so on. Airbrushed faces display little to no imperfections whatsoever. 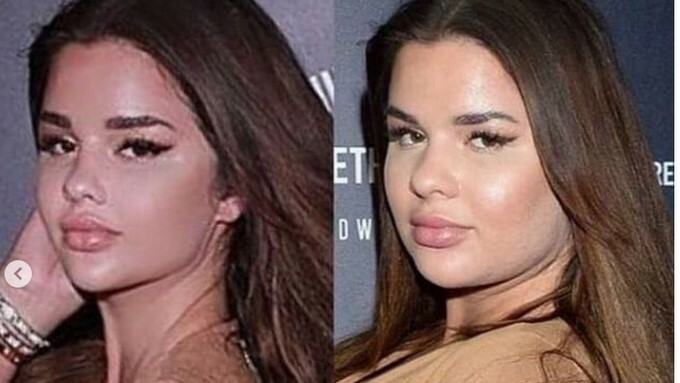 Photoshop has become such a norm in our everyday lives, where Instagram models go the extra step to make themselves look unrecognizable than their appearance in person. Many of these trends are rooted from Instagram’s most influential users: The Kardashian-Jenner family. What once started as just lip fillers, has pushed to un-achievable curvy body types and lifestyles. These images have influence social media users everywhere to fit that expectation by either changing their diet, exercising, surgery, or if that doesn’t please them, photoshop. Alongside looks comes the rich and lavish lifestyle this family lives. This has influenced many to display a similar lifestyle in order to fit in, when in reality many of these users are drowning in debt. Social media started off as a way of connecting with others and now has transformed into a platform of validation and acceptance. Instagram especially has caused insecurity issues within young adults and teens, where users have now resorted to Photoshop to be seen as someone they’re not. Social media has become the sources of insecurities, anxiety, and depression due to the high life and body expectations given. We wonder if social media platforms will continue to have those expectations pushed further, or will there be a change in the near future? This entry was posted in Entertainment and tagged America, BC, Canada, fake, instagram, jenner, kardashian, North America, Photos, photoshop, reality, states, usa, Vancouver by Mehak Munir. Bookmark the permalink.